Play Mayan Moons™ online for free now! The gold of the Mayans is calling - at Mayan Moons™ you will be hot on the trail of treasures of an advanced civilisation. Precious artefacts bustle on the 5 reels - your aim is to arrange them along the 20 win lines! And if the pretty Mayan Princess enters the game you've got the chance to turn your findings into sparkling Twists! 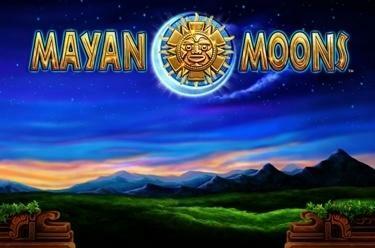 Even at night the land of the Mayans has a lot to offer: Look forward to an exciting bonus game in the moonlight, which will give your player account great riches! 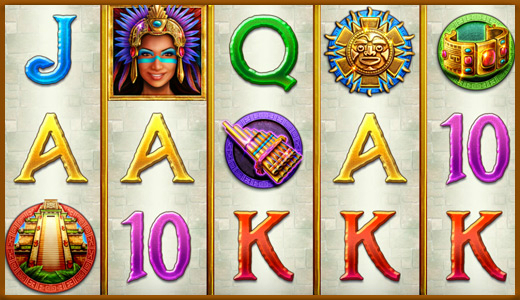 Make sure to land 5 matching symbols along an active win line and you can cash in big time at this slot machine. Your winning lines run from left to right along the reels. A winning combination consists of matching symbols that will land side by side from the first position on the left along the win line. You win 15 Free Games with 3 or more Moon symbols in any position. All Free Games will be played with the settings of your last game round. The moons that have triggered the Mayan Moons™ Feature will stay in the position that they have landed on in the Free Game. If a sun symbol lands on a position with a moon on it you win a bonus and your bet (depending on the number of sun symbols) will be multiplied.